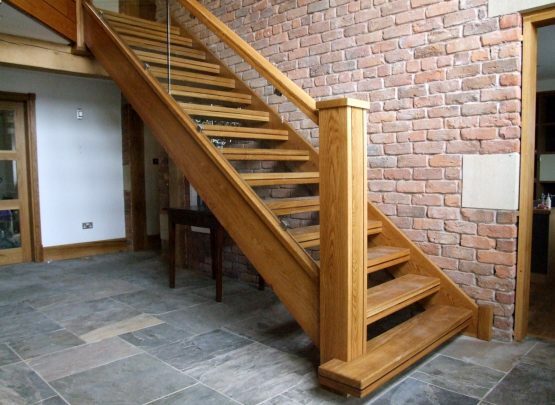 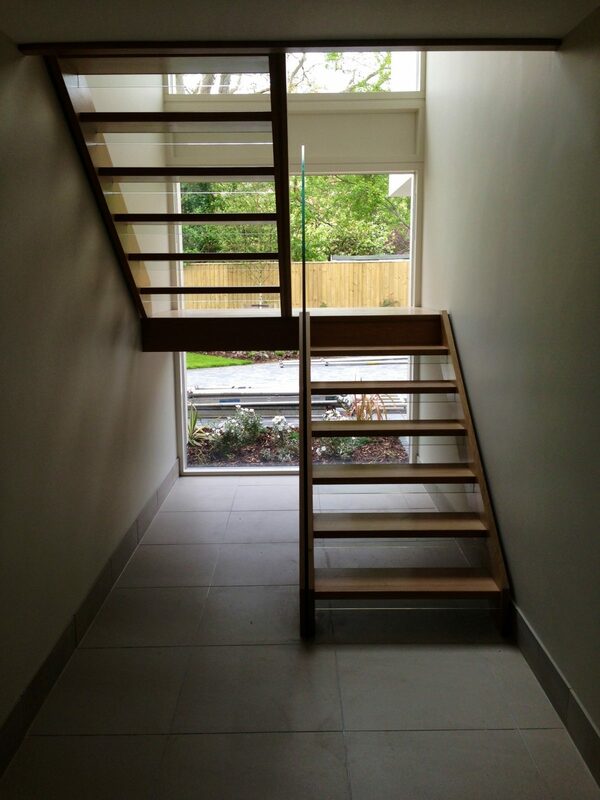 The objective the client gave to us for this staircase was to be able to get the most light possible into the room whilst still having the staircase in that area. 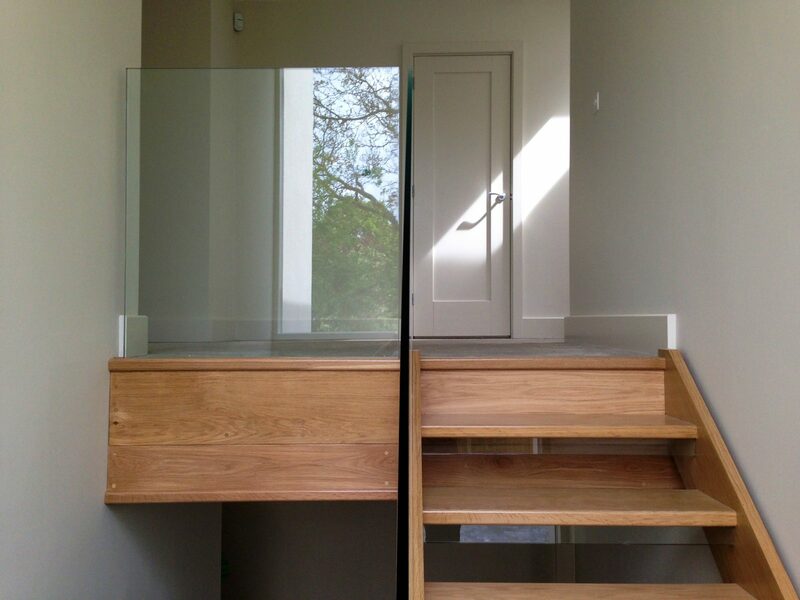 With this we knew that there was only one way to go, open plan. 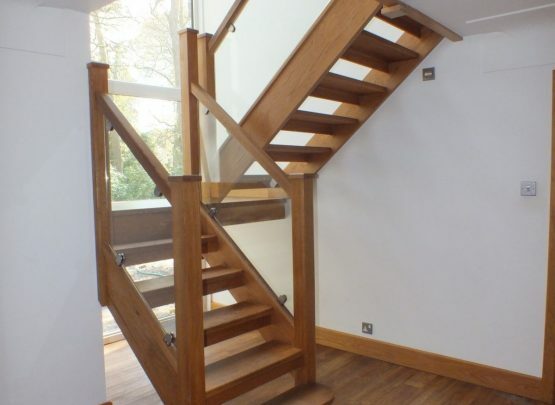 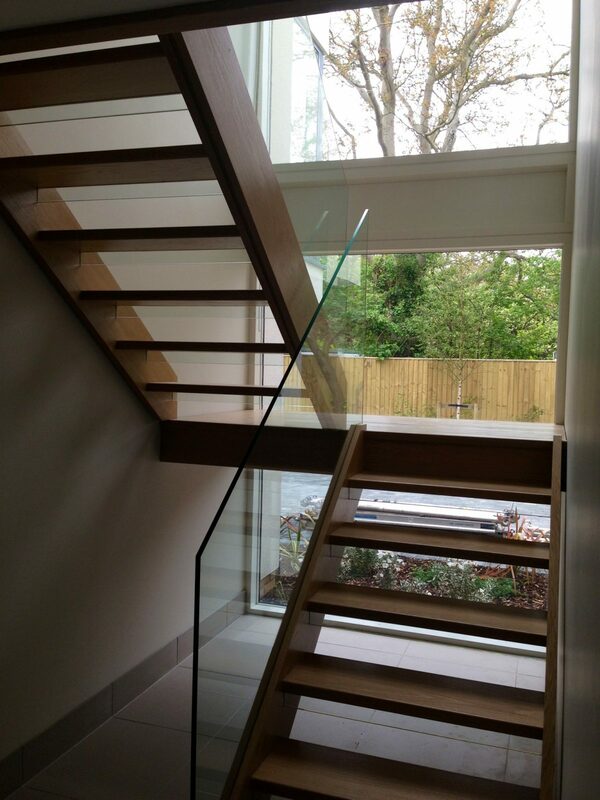 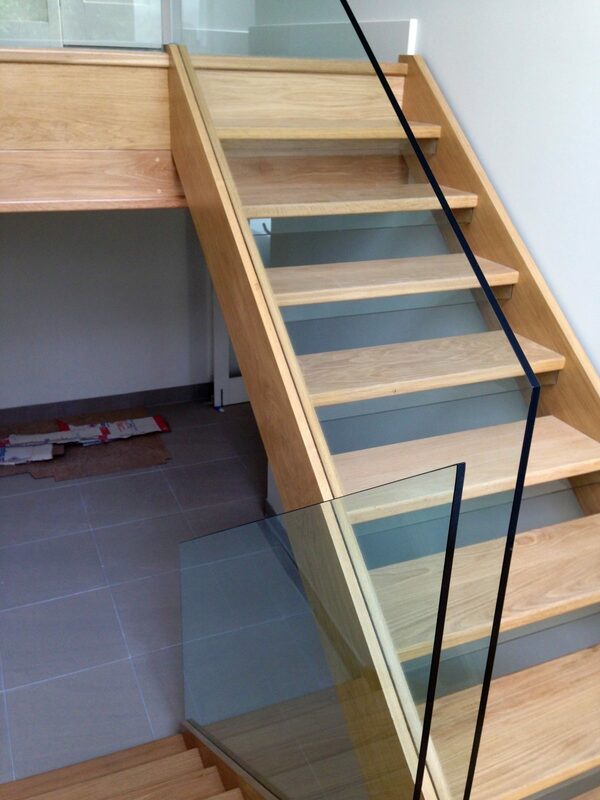 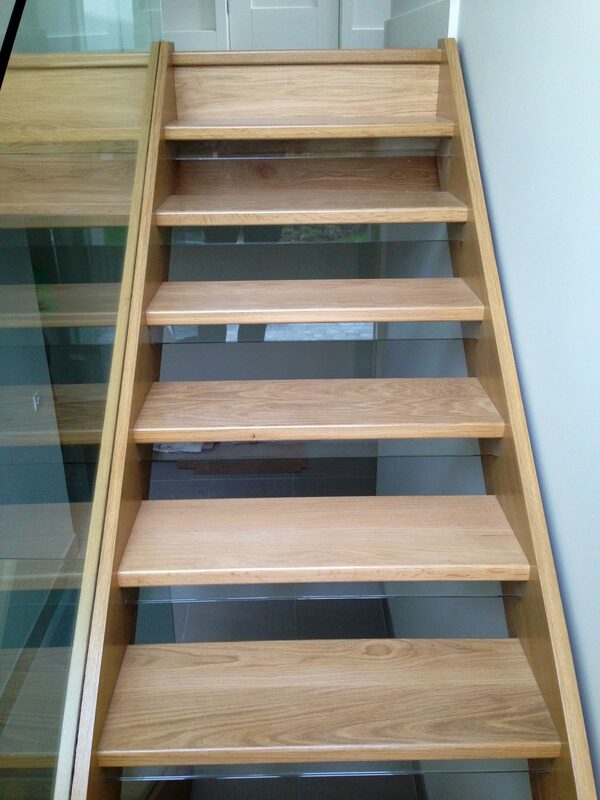 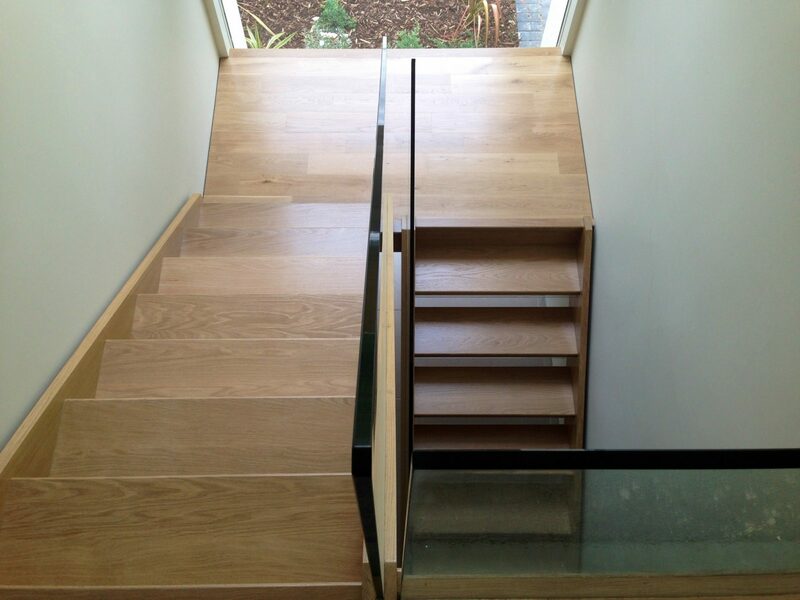 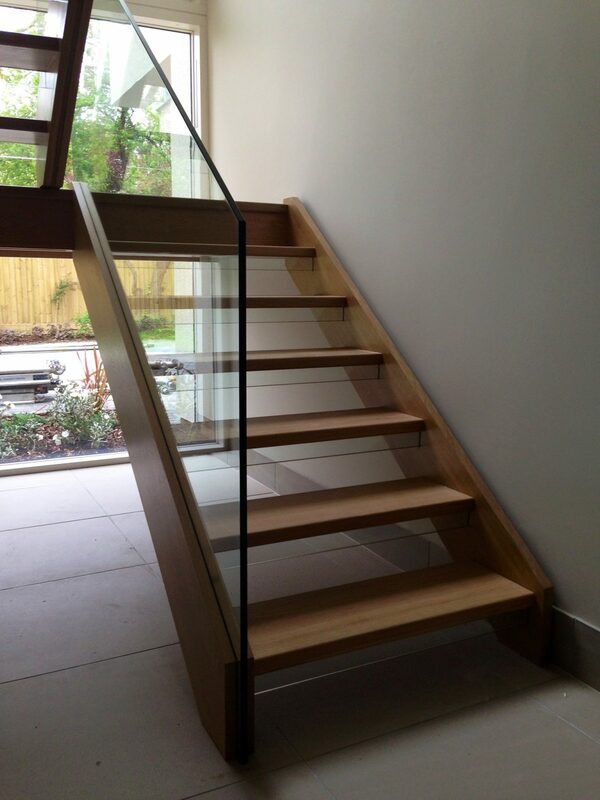 This open plan staircase is maximised to receive the most amount of light into the room, the use of 17.5mm glass which does not need to be supported by either a handrail or newels, allowing for little in the was of obstructions go the light behind. 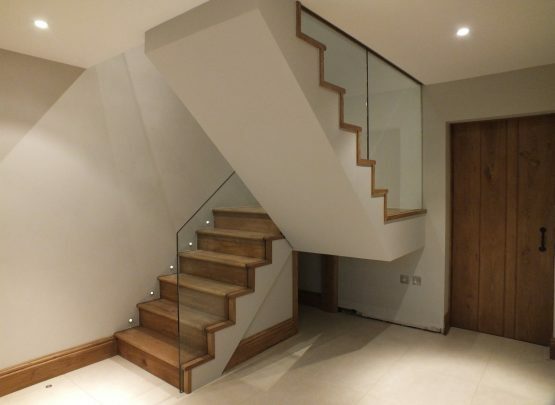 Lastly, in order to make this open plan staircase as unobtrusive as possible, we used thin treads, these treads are then complimented by short stub glass risers which allow for it to still fall within regulations, but still meet the objective of having the most amount of light entering the room.